A well established manufacturing company is looking for an experienced HR Officer coming with generalist experience, with a particular emphasis on training and development. In working for a well established engineering and manufacturing company, the successful candidate will be reporting to the Head of Projects as part of the project team. This position requires international travel. The candidates’ focus will be the involvement in projects and technical support, both internally and externally. Manufacturing is the process of adding value to raw materials by turning them into products: electrical goods, vehicles, aircraft, food, beverages, medical supplies, pharmaceuticals etc. Aodgreen focuses in the heavy industry manufacturing sector. The term may refer to a range of human activity, from handicraft to high tech, but is most commonly applied to industrial production, in which raw materials are transformed into finished goods on a large scale. Finished goods may be used for manufacturing other, more complex products, such as aircraft, household appliances or automobiles, or sold to wholesalers, who in turn sell them to retailers, who then sell them to end users and consumers. In its earliest form, manufacturing was usually carried out by a single skilled artisan with assistants. Training was done by apprenticeship. In much of the pre-industrial world, the guild system protected the privileges and trade secrets of urban artisans. Before the Industrial Revolution, most manufacturing occurred in rural areas, where household-based manufacturing served as a supplemental subsistence strategy to agriculture (and continues to do so in places). Various economists sees manufacturing as a wealth-producing sector as opposed to the service sector which is seen by them as a wealth-consuming sector. 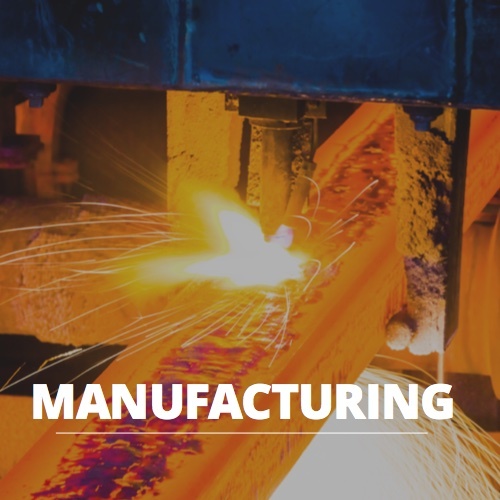 The manufacturing sector usually provides material for national infrastructure. Due to its nature the manufacturing sector involves huge amount of environmental and social costs. In the past in the African continent many large heavy engineering manufacturing plants operated from South Africa. In the past decade large scale factories have been deployed all over Africa. Africa has seen significant amount of growth in most sectors over the last few years. The heavy engineering manufacturing sector includes facilities that manufacture heavy construction equipment, household and commercial appliances, lawn and garden equipment, farm equipment, rail cars and engines, military equipment, airplanes and airplane parts, oil and gas field equipment, shipbuilding supplies, turbines and generators, compressors, pumps, conveyors, mining equipment, transformers and HVAC equipment and more. AdoGreen is a specialist recruitment agency focusing on finding local talent in various African countries in the manufacturing industry. Why AdoGreen is so effective in working within Africa, being able to target local candidates, is owing to extensive experience in pioneering within unfamiliar locations and successfully identifying the best recruitment practises for these type of environments for expanding and established companies. AdoGreen can assist with requirements within restrictive circumstances like the challenge of working in remote locations, lack of connectivity and media reach, as well as regions unfamiliar to the company.